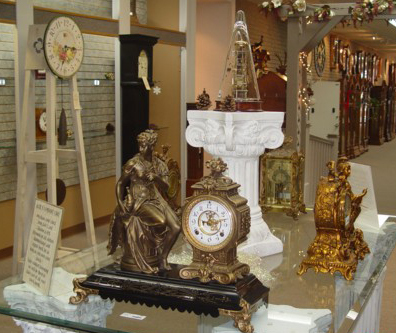 Keil’s clock shop has a wide variety of antique clocks in our showroom located at 109 E. Main St. Belleville, IL 62220. 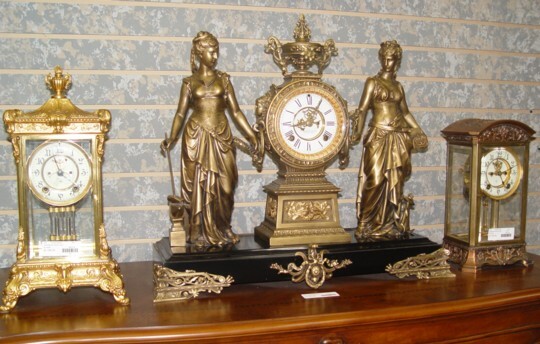 We regularly have antique kitchen clocks, German wall regulators (spring wound, one-weight, two-weight, and three-weight), Ansonia metal figure clocks and crystal regulators, American tambour and column mantels, and much more. 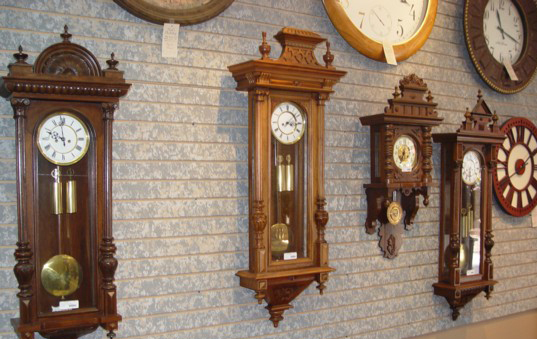 We also have vintage German grandfather clocks, custom made clocks, and select reproductions. All our clocks are gone through by our staff and come with a one year warranty. Please come by and visit as our inventory is constantly changing. We want our customers to be happy with their purchase. Antique clocks all have distinctly different sounds and different levels of aging to the case, weights, pendulum, and dials, which is impossible to display on the internet. 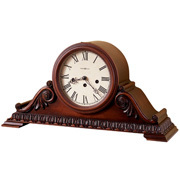 By coming in and picking out the clock that best suits you, we can avoid any shipping damage that may not be replaceable on a clock that is over 100 years old.